On July 31, 1995, The Walt Disney Company and Capital Cities/American Broadcasting Company announced plans for a $19 billion merger, which was completed on February 9, 1996. The deal meant that Disney would acquire 9 VHF (Very High Frequency) and 1 UHF (Ultra High Frequency) television stations; 11 AM and 10 FM radio stations; a percentage of ESPN, The History Channel, A&E Network, and Lifetime Television; and a publishing group consisting on 85 trade journals, 18 shopping guides, 2 consumer magazines, 21 weeklies, and 7 daily newspapers – however, most of this publishing group would eventually be sold. With this merger, the broadcasting name of Capital Cities/ABC was renamed ABC, Inc., but the network still uses the name American Broadcasting Companies. Interestingly enough, the president of ABC at the time, Robert Iger, is now the CEO of The Walt Disney Company. The partnership between ABC and Disney goes back to 1954, when Walt Disney agreed to a regular network television show if they would help invest in the Disneyland project. ABC agreed, providing a $500,000 investment up front, and $4.5 million in loans, making ABC a 1/3 owner of Disneyland. Disney remained on the ABC network until 1961, after buying out ABC’s share of Disneyland. After the merger in 1996, many successful shows appeared on the network, from the Saturday morning cartoon block “One Saturday Morning,” to the smash game show Who Wants to Be a Millionaire?, to dramas The Practice and Alias. The network still continues to find success with recent hits that include Lost, Desperate Housewives, Once Upon a Time, Castle, and Revenge. Posted in Uncategorized and tagged 1990s, Acquisition, Television. Bookmark the permalink. 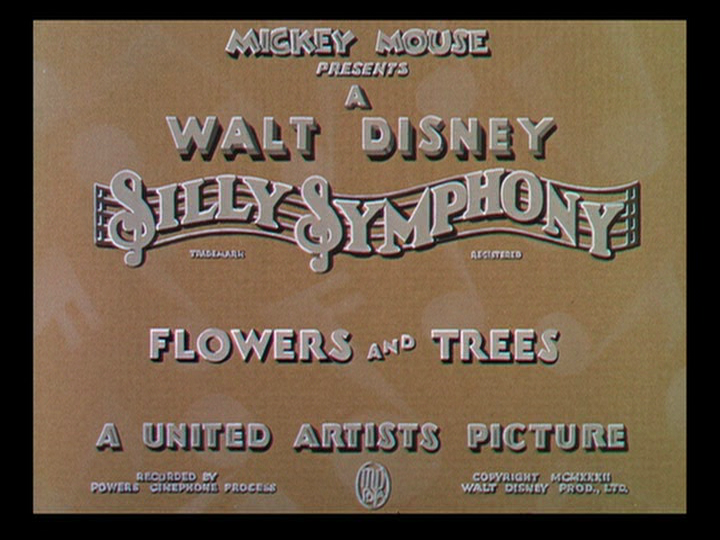 On July 30, 1932, the groundbreaking Silly Symphony Flowers and Trees was released to theaters. The short was directed by Burt Gillett, and became a landmark in Disney animation. 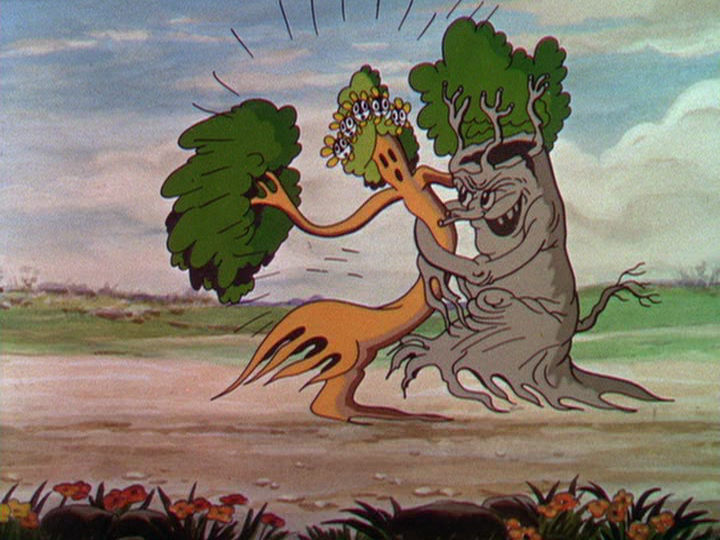 Originally conceived in black and white, the short was scrapped at great cost to the studio to be redone in the new Technicolor process. Walt Disney signed an exclusive deal with Technicolor that gave him alone the rights of the process for two years, and after this short, all of the Disney shorts would be released in color. This process helped enhance the quality of Disney’s films, and Flowers and Trees would be awarded an Academy Award for Best Cartoon; at the same ceremony, Walt would be awarded a special Academy Award for the creation of Mickey Mouse. One spring morning, the trees and flowers wake to the sound of a bird’s chirping, stretching in the morning light. One pair of trees in particular is enjoying the day, while an old stump scares the bird that tries to wake him. One tree begins to play a harp for his love, a beautiful young tree, who dances gracefully to the music while flowers dance around her. The flowers then bring her closer to her love and dance around them before making a heart shaped wreath on the ground. The male tree places it around the female’s head. She continues to dance, unaware she is being pursued by the jealous, cranky old stump. He grabs her for his own, and the young male tree saves her before beginning a sword fight with the stump. The old stump is defeated, and decides to set the young male tree on fire. The male tries to stomp out the blaze, but to no avail. The plants that can run begin to flee, while others try to help put out the flames. The stump watches will glee as he sees the young couple being engulfed in flames, but soon finds himself victim of the blaze as well. The flames being to grow in intensity, and the birds flock together to create a hole in the clouds that causes rain to fall and put out the fire. What’s left of the stump is found on the road, a victim of his own plan to destroy the couple, with his vultures swarming around the remains. After the storm clears, the male tree, proposes to the female, and the flowers sound the wedding bells. Posted in Uncategorized and tagged 1930s, Academy Award winning, Color, Short film, Silly Symphony, Technique. Bookmark the permalink. On July 29, 1999, the Rock ‘n’ Roller Coaster Starring Aerosmith attraction opened at Disney’s Hollywood Studios at Walt Disney World. It is located at the end of Sunset Boulevard, next to the Twilight Zone Tower of Terror. Known as an “extreme” roller coaster, the ride goes from 0 to 60 in 2.8 seconds. The story that goes with the ride is that Aerosmith is finishing up a practice session, and is running late for their big concert across town. The Rock ‘n’ Roller Coaster, known as their super-stretch limo, will take them there, with guests along for the ride. The attraction has been sponsored by Hanes since 2008. Guests ride through several areas of “California highway,” ranging from Interstate 5 to U.S. Route 101, all to a soundtrack of Aerosmith songs, some rewritten to accommodate the ride. Each car on the ride plays different songs; Aerosmith worked with the Disney Imagineers to create a soundtrack for each car. To play the soundtrack, each car has a special onboard audio system that includes a 125 speaker, 24 sub-woofer, and 32,000 watts. Posted in Uncategorized and tagged 1990s, Attraction, Disney Park, Imagineer, Popularity. Bookmark the permalink. 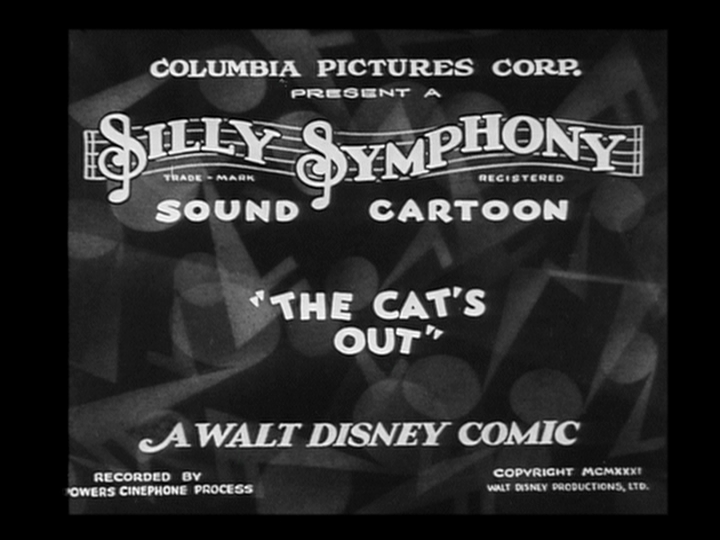 On July 28, 1931, the Silly Symphony The Cat’s Out was released to theaters. It has been copyrighted as The Cat’s Nightmare, but the studio now refers to it by its original name. The short was directed by Wilfred Jackson. A cat is put out for the night outside a country home, and howls at the door before going off to explore.­­ As he perches on a fence, still howling, neighbors begin to throw shoes, and one lands on the cat’s head. He runs away in a flurry, falls off the fence, and lands in a washtub. After drying himself, the cat hears a bird chirping from its perch on a weathervane. The cat, now suddenly hungry, stalks the bird, waiting for his chance to attack. He catches the bird by the tail just as it takes off, and tries to remain on the roof by wrapping his tail around the weathervane. Unfortunately, he loses his balance and falls, ripping the vane from the roof. As he lands on the ground, the vane falls soon after, landing on his head. The cat’s lives begin fleeing to heaven, but he is able to grab his last one and save it. The bird he chased shows up, and as he is about to grab it again, it triples in size and begins to taunt the cat. The cat, annoyed by the taunting, punches the bird. As his feathers fly off, the feathers become more birds, which circle the cat and taunt him mercilessly, trying to peck him with their beaks. Suddenly, the birds disappear, and a herd of owls in the trees scares the cat. He runs to hide behind a bucket, but the water pump, now alive, dumps water on him. 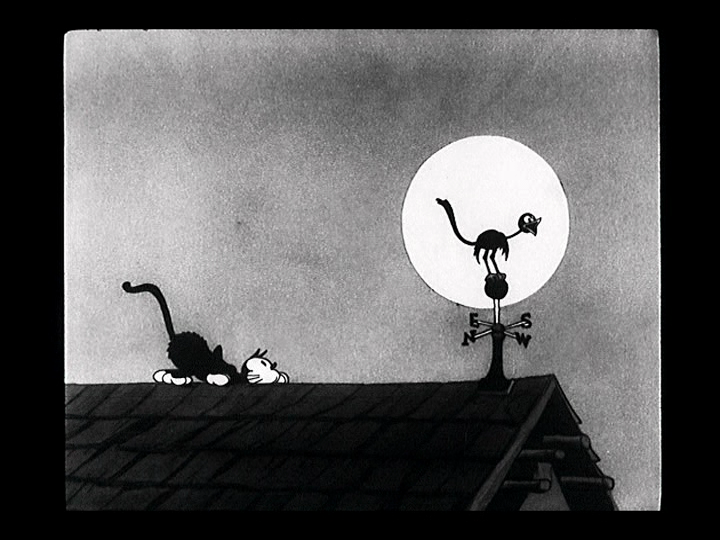 The startled cat runs into a pole and knocks down a scarecrow. As the cat hides behind a pumpkin, the scarecrow comes to life and begins to dance. 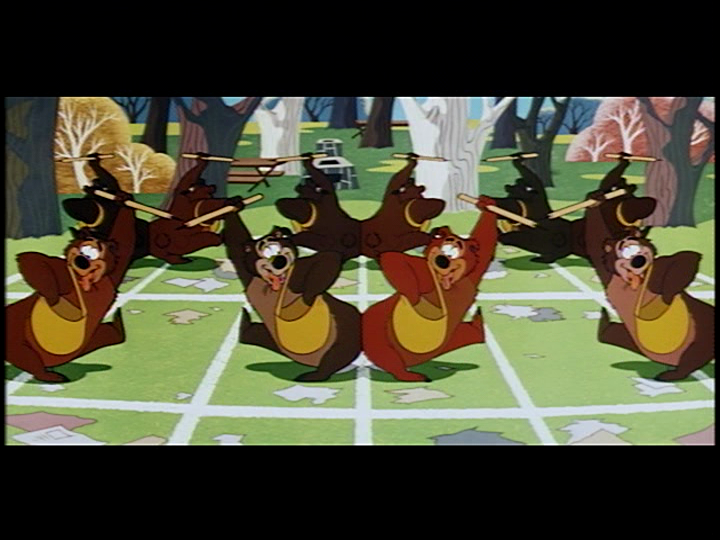 The multiple dancing scarecrows appear and dance together before they merge back into one scarecrow again, who climbs back on his pole. 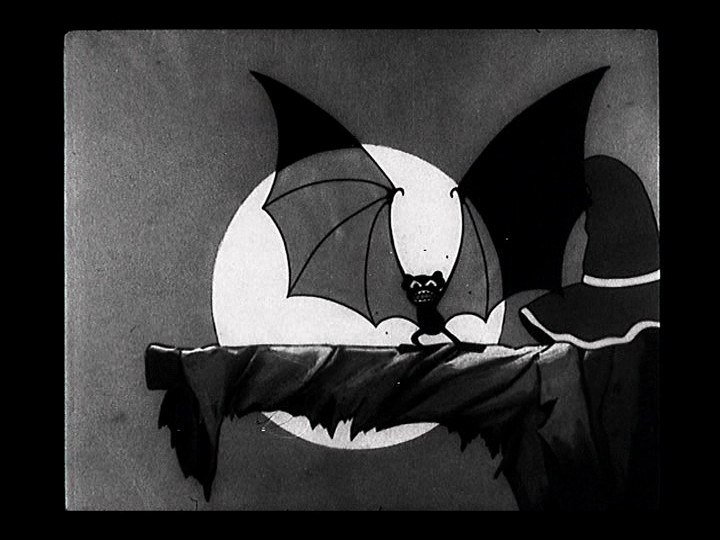 From under the scarecrow’s hat, a bat appears and begins to dance in the moonlight. The terrified cat throws the pumpkin at the bat, which turns into a flock of bats that swarm the cat. The cat flees, only to find himself trapped at the mercy of giant spiders. As they attack, he is able to escape them, but everywhere he goes, he finds more trouble: trees come to life and beat him, and the bird laughs at the cat’s misfortune. The cat wakes to find that it has all been a dream, and it’s now morning. He goes to the door of his house and howls, hoping the owner will let him in. The owner opens the door and the cat steps inside while the owner grabs the bottle of milk, then shoves the cat back outside. Angrily, the cat paws at the welcome mat, then blows his master a raspberry before haughtily walking away. 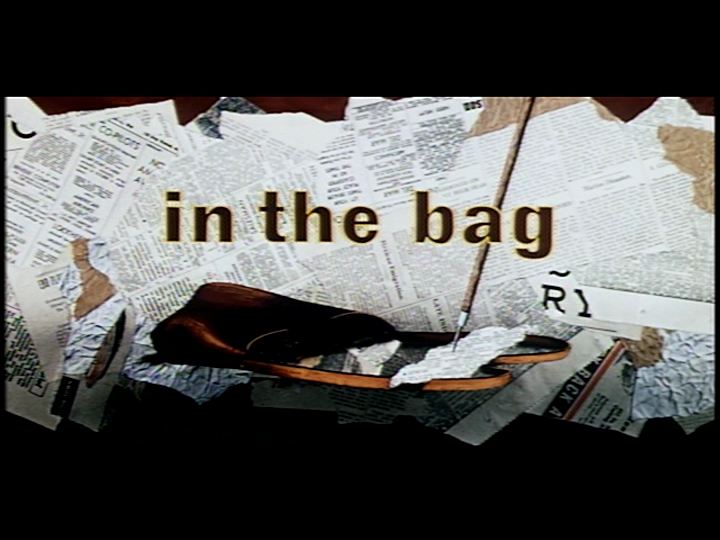 On July 27, 1956, the special short film In the Bag was released to theaters. This short was the second of what was to be a potential series for the character Humphrey the Bear, but the series was canceled when the Disney Studios stopped making short films. Humphrey was introduced in the 1950 Goofy short Hold That Pose; he then was an antagonist for Donald Duck in several shorts. In the two shorts released, Humphrey’s foil was a good-natured park ranger named J. Audubon Woodlore. The short, filmed in Cinemascope, was directed by Jack Hannah, with the story by Dave Detiege and Al Bertino. Humphrey was voiced by James MacDonald and Ranger Woodlore by Bill Thompson. Smokey the Bear also makes a cameo in this short. 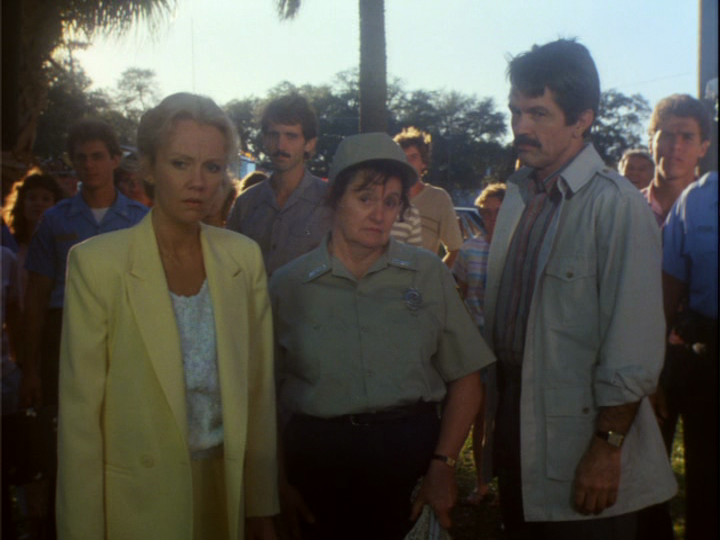 The guests are leaving the campgrounds, and Ranger Woodlore steps out of the ranger station, perturbed at the mess the guests have left behind. He begins to clean, when he realizes he has all the help he needs. He calls over Humphrey, who gathers all the other bears when Woodlore offers a surprise. He tells them that they’re going to play a game, and the bears are all excited. Woodlore sets up the playing field, and has Humphrey hand out the equipment to pick up the trash. Ranger Woodlore begins to sing a song to inspire the bears, and they pick up trash with vigor, until they notice they’ve just been doing the ranger’s chores. They angrily dump out the trash and storm away. Woodlore has an idea to get them back – he makes his special batch of chicken cacciatore, but tells them “He who does not clean up his section of the park does not get any supper.” The bears race to put all the pieces of trash in Humphrey’s section, leaving him as the dupe. He races to clean, but his bag snags on a branch and rips open, sending trash flying everywhere. Humphrey is sent once again to clean, but is struck by misfortune at every turn. He finds an unused match in the trash, and sets to light the pile of trash on fire, when Smokey the Bear steps on it and warns the audience that only they can prevent forest fires. Desperate, Humphrey sees a hole in the ground, shoves the trash in there, then triumphantly skips to get his supper. Just as he’s about to reach for the plate, the “hole” starts to shake, and a sign reveals that it’s actually the geyser Old Fateful. It erupts, sending trash flying all over the park. Ranger Woodlore apologizes, but reminds him that rules are rules, and Humphrey once again dances as he picks up trash around the park. Posted in Uncategorized and tagged 1950s, Color, Humphrey the Bear, Short film, Special. Bookmark the permalink. 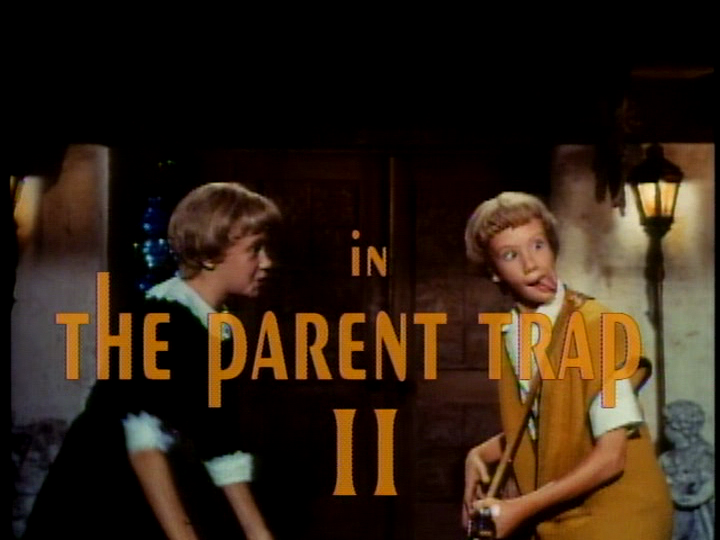 On July 26, 1986, the Disney Channel premiered The Parent Trap II, the sequel to the 1961 hit film starring Hayley Mills. 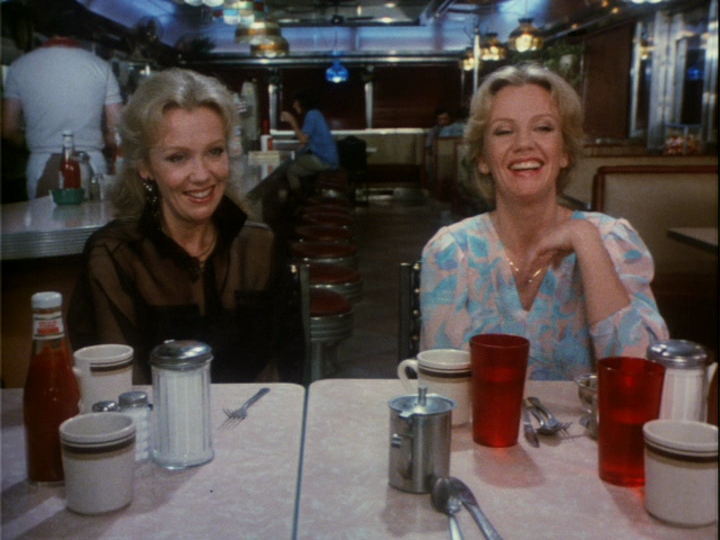 Mills reprised her roles of the twins Sharon and Susan; the film also starred Carrie Kei Heim as Nikki, Bridgette Andersen as Mary, and Tom Skerritt as Bill, and was directed by Ronald F. Maxwell. There’s a piece of Disney trivia hidden in the film: the name of Sharon’s boss is Mr. Walter Elias, which is Walt Disney’s first and middle name; Mr. Elias’ wife is named Lillian, which was the name of Disney’s wife. Sharon Ferris has been offered a job in New York City, only her daughter Nikki doesn’t want to go. Sharon tells her daughter that the move will be fine, and sends her off to summer school. At school, Nikki meets a girl named Mary Grand, and the two become fast friends. The two find that they have one thing in common: they’re the children of single parents. Mary’s mother died when she was a young girl, and Nikki’s parents have gone through a divorce. As the two become best friends, they try to come up with a plan to get Nikki to stay. Mary gets the bright idea that the two should set their parents up, and Nikki readily agrees. Nikki hits a snag when she first tells her mother about Mary’s father, Bill; Sharon is not ready to try dating since her divorce two years before. The girls then set up a plan, telling the other’s parent that their child is stuck in a tree, hoping that their parents will meet. The plan is a disaster, to say the least, but the girls are determined to try again, this time sending a bouquet to Sharon’s mother, pretending they’re from Bill with a card inviting her to dinner. They hit another snag, when Bill is heading out to a date, but the two share a friendly, if awkward, moment. The two girls are ready to throw in the towel, when Nikki wonders aloud how her mother and aunt were able to get their parents back together when they were young. Nikki then gets the bright idea to bring her Aunt Susan to Tampa to help the two with their plan. Susan agrees to help, and the three set their plan in motion for Susan to pretend to be Sharon. Susan shows up at Bill’s regular haunt, and the two hit it off. The plan seems to work, until Sharon gets suspicious, and Susan gets second thoughts. Finally, Susan gives in for one more date, and Sharon figures out that Susan is in town. The following night at the dinner the kids and Susan plan, Sharon intends to play a little prank on the scheming trio, calling up Susan’s husband and pretending he’s on a date with another woman, which is just Sharon dressed up in a disguise. The ruse being up, Susan, Sharon, and the two men go out to another restaurant and explain the entire thing. Sharon and Bill are left alone, and Sharon tries to let Bill down easy. He insists that they start fresh, but she is firm that they just stay friends. The girls have one last idea that takes place at the farewell party for Sharon and Nikki on Sharon’s boss’s yacht. After changing the invitations to read an hour earlier than the party’s actual start time, Nikki and Mary trick their parents into being alone on the yacht before letting it loose and sending it out to sea. When Sharon steps out for air and the two realize what has happened, they finally succumb to the feelings they have and kiss. Soon after, the two are married, and Nikki and Mary rejoice in the fact that their plan worked, and Nikki won’t be going to New York after all. Posted in Uncategorized and tagged 1980s, Disney Channel, Feature Film, Live Action, Sequel. Bookmark the permalink. 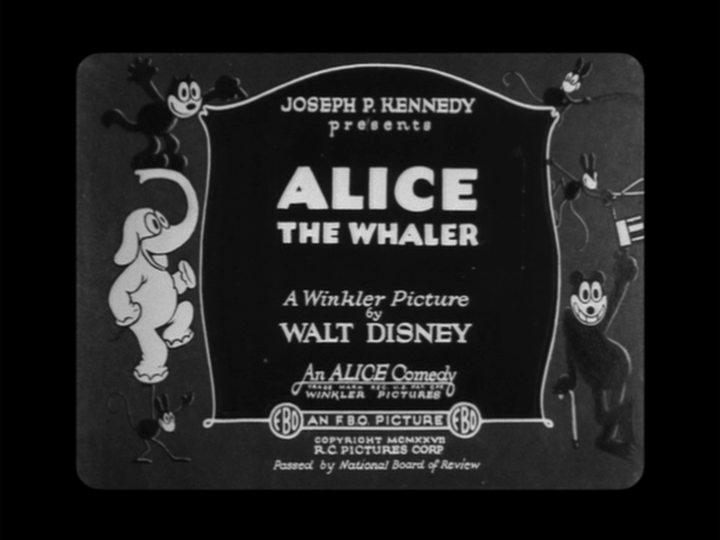 On July 25, 1927, the Alice Comedy Alice the Whaler was released to theaters. This was the third to last Alice Comedy produced by the Disney Studios, and stars the fourth and final actress to play Alice, Lois Hardwick. It’s a turbulent day at sea, but Alice and her crew are having a merry time on the ship’s deck, dancing and playing sea shanties. One of the members of the crew is doing a wonderful job miming, up to the point where, as he pretends to pull on a rope, he pulls down an anvil that lands smack on his head, which causes Alice to laugh. In the kitchen, members of the crew are hard at work, with the chef capturing the chicken trying to escape from the pot, and a mouse hard at work peeling potatoes. The mouse tries to save the dishes that keep falling out of the cupboard due to the ship’s rocking, but they end up crashing to the floor in a giant mess. When the chef sees the broken dishes, he demands that he head out to get eggs. The mouse stands on the top of the mast, trying to catch any of the birds that are flying past, and ends up on the back of one. He smacks it on the head to beat it into submission, and finally gets it to land on the deck. He demands that it lay eggs, but it can’t, until the mouse finds a way for it to do so. Delivering the eggs to the chef, the chef then demands that the mouse go get some milk; when he attempts to beat the mouse for his insubordination, the chef ends up breaking the eggs. The mouse goes to the goat to milk her, but the rocking of the boat makes this a rather difficult task, until the mouse nails the goat’s feet to the floor. Julius, Alice’s feline friend, spots whales frolicking in the waves, and everyone quickly sets to work. The harpoon is let loose, and the whale leaps in pain as it gets caught on the tail. Unfortunately for the crew, the short ends with the ship being dragged across the ocean by the whale. 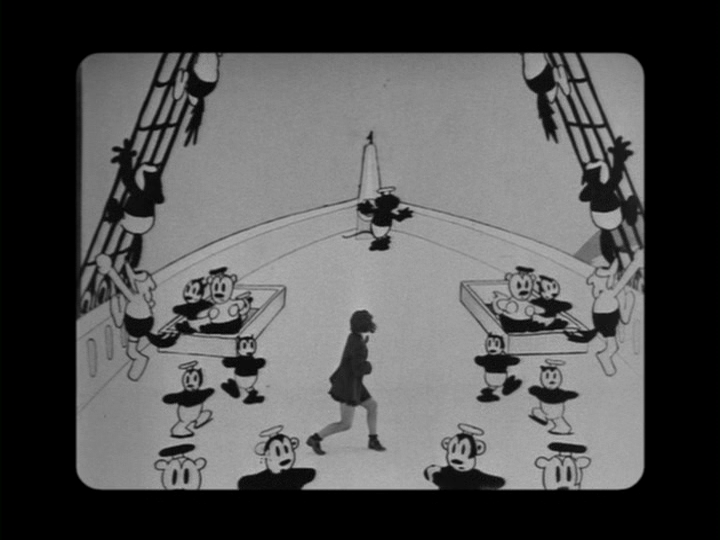 Posted in Uncategorized and tagged 1920s, Alice Comedy, Black and white, Short film, Women. Bookmark the permalink.